John Wayne leads the work crew in Hatari (1962). Elsa Martinelli has a rough first day on the job photographing wildlife in Hatari (1962). chasing after a baby elephant on the loose in Hatari (1962). John Wayne and Valentin de Vargas capture a wild giraffe for one of the world’s zoos in a publicity still for Hatari (1962). 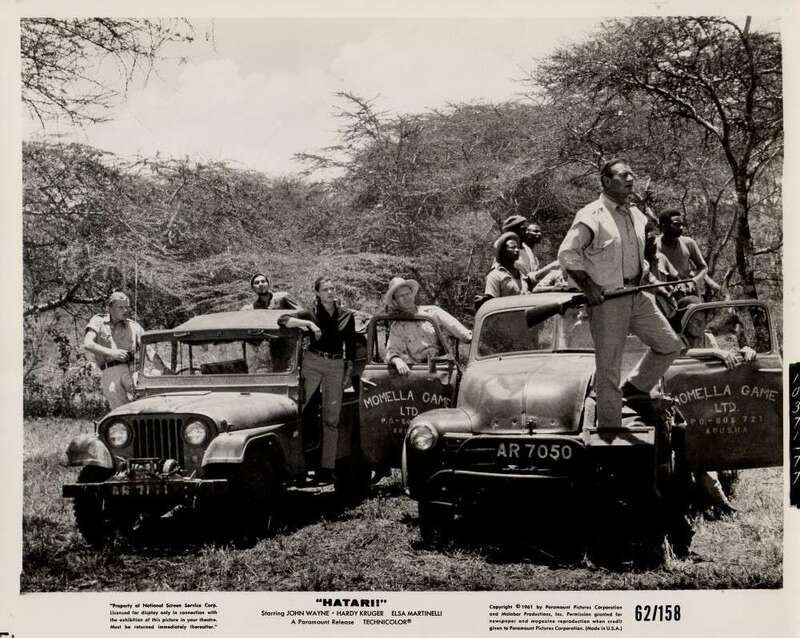 the work team in a publicity still for Hatari (1962). A fight breaks out among the work team in Hatari (1962).